In developing our products, we discovered that prickly pear cactus extract mixed exceptionally well with pineapple. 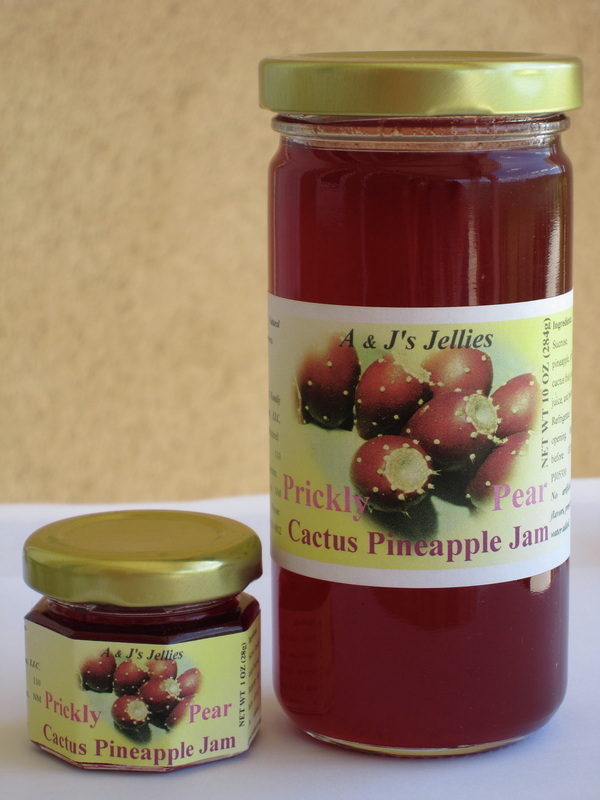 Our prickly pear cactus-pineapple jam is lighter in color than the prickly pear cactus jelly, because it contains small pieces of pineapple. It is a perfect blend of prickly pear cactus extract and pineapple. The taste is marvelous. We use it on toast, bagels, English muffins, French toast, pancakes, and waffles. We also use it to glaze hams, pork chops, roasts, and ribs. We also like it on hamburgers. Price listed including shipping cost.